How adorable is this?! 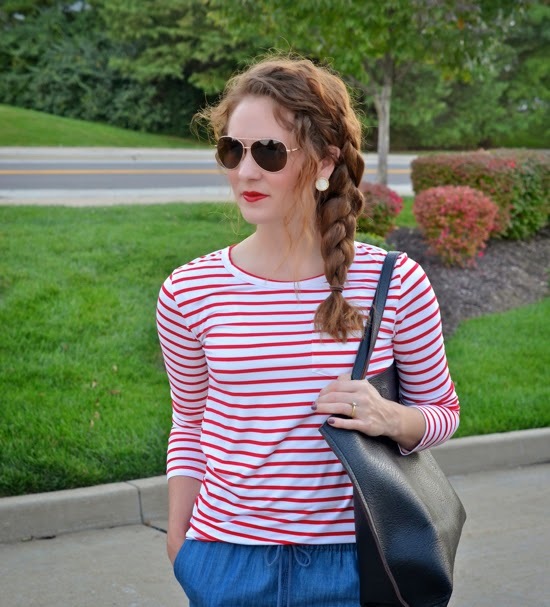 The casual chambray with a maxi and an effortless updo is just perfect. I have the utmost respect for thrifters. I lack the patience and dedication, but when I see fabulous pieces like this jacket, it makes me wish I had mad thrift skills. Chambray over gingham. Brilliant. Plus a pop of gold and leopard are always welcome. Always. This stripe top looks great on you. What a great way to incorporate and try a color that you are not drawn too but it looks great with your skin tone. Hope to see you at TBT Fashion link up. Cute casual outfit + your hair is gorgeous and really goes with your casual style. Hope you have a great day! I'm a huge fan of stripes and love the red! Such a cute, casual look! So adorable! 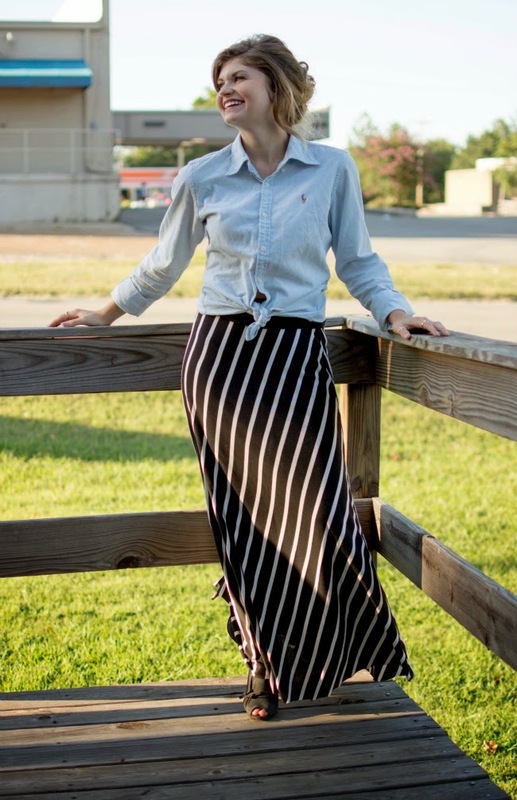 What a great combo- the pants have such a perfect relaxed but chic look on you! I love this! This look is adorable! Love the flats!! Love the red stripes! I don't own much red either but I agree, this is the perfect amount. Love the photos with your pup, too cute!! Love your RW&B themed look but it's your hair that's taking my breath away!!!! Love your top & this look is so adorable on you!! I have those joggers too, they are the best. Thanks for hosting! Red is a great color on you! I know it has taken me sometime to be comfortable in red too. And how cute is your dog! 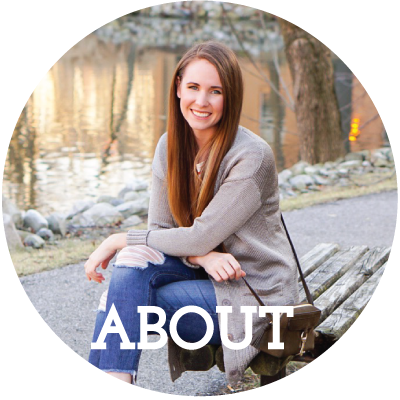 Thanks for the comment on my blog and for the link up invite! What a cutie you are holding, love the outfit too, but the little one is just too much, adorable. 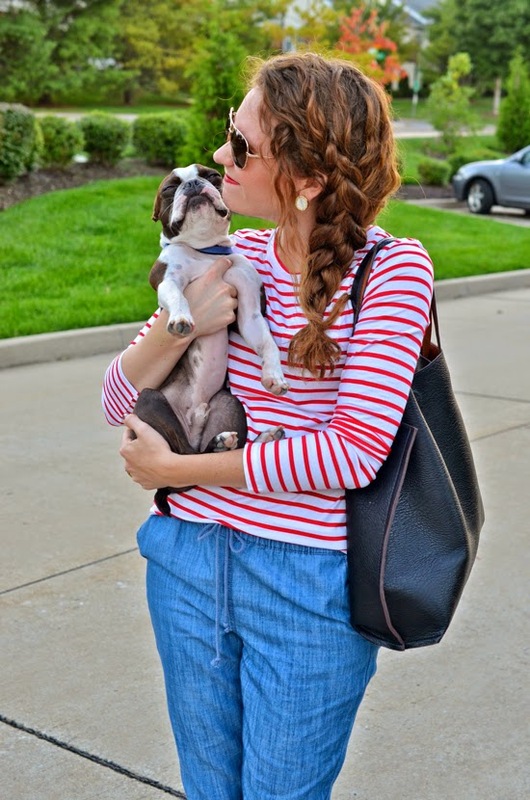 Cute yet classic casual look and such a cute dog! Thanks for letting me know about your link up. Red and white stripes are totally a horse of a different color. This tee looks so cute on you! Thanks for the love Miss Jenna Marie! I feel honored to featured this week. Thank you! 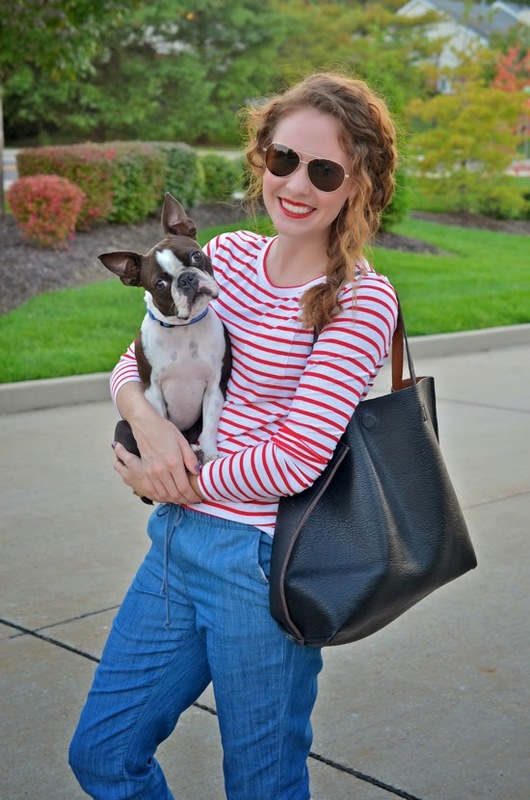 PS - LOVE red breton stripes! Jenna, you look absolutely adorable in these photos! I love this look. Your dog is too cute and love your hair and lip color! Cutie pie! You look adorable, and the pup is so cute! Aw, your doggie is TOO cute! High five on the red this week, the outfit is cute, and looks super comfy. 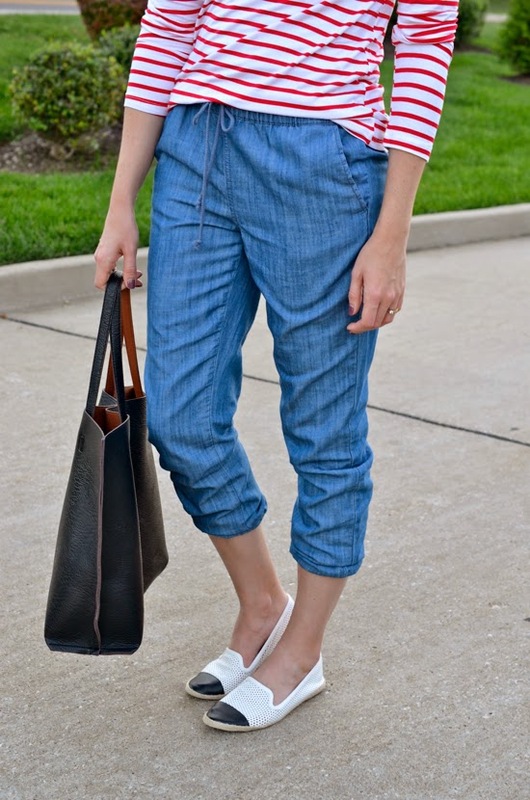 love the striped shirt and the light denim. This is such a comfy and casual outfit. Great outfit! It has a very nautical new england vibe. Simple, casual and chic. Nailed that look. Love the top. You and your pup are way too cute!